Love getting free swag? Enjoy a taste of the #influencer lifestyle with South AfriCAM – Mzansi’s coolest selfie app! South AfriCAM helps you nab points to buy magazines, airtime, food vouchers and so much more. All you have to do is share your selfies within the app, add your choice of branded stickers and score more of what you really want. What’s more? Anyone can get involved so get your friends to join in on the fun! The South AfriCAM app gives you the ultimate incentive to get busy living and share the love online. If you enjoy exploring and snapping up all the memories while experiencing life, this one’s for you! 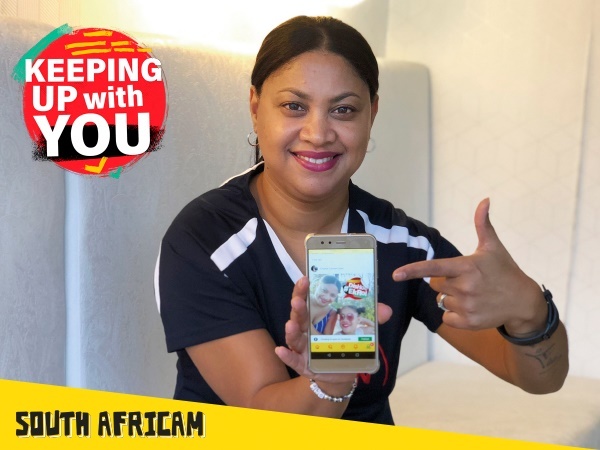 The app allows you to add branded stickers to your selfies – choose from YOU, DRUM or Huisgenoot magazine, as well as Women’s Health and Men’s Health – which you need to share to earn points. You’ll score JETPoints for the likes, comments and shares you get which can be used to buy stuff such as magazines, airtime, Spur favourites like burgers and waffles, JOOX memberships and even groceries! The app also includes awesome features to help you take your selfies to the next level. Decorate your pictures by adding fun frames, animated stickers and captions before posting. Once you build up the points, you can spend your JETS directly from the app or redeem it at any Checkers or Shoprite. Step 1: Download the South AfriCAM app– available on the Google PlayStore and iOS. Step 2: Get your friends to join in on the fun too. Step 3: Say cheese! Take a selfie and upload it to the app. Step 4: Share your selfie to Facebook, Instagram and Twitter to boost activity and get people to interact with your posts in the app. Step 5: Spread the love – like, comment and share your friend’s pics too to encourage them to do the same. Step 6: Watch the JETPoints roll in and score! Step 7: Choose how you’ll enjoy your rewards. Download the app today and get busy living with South AfriCAM!